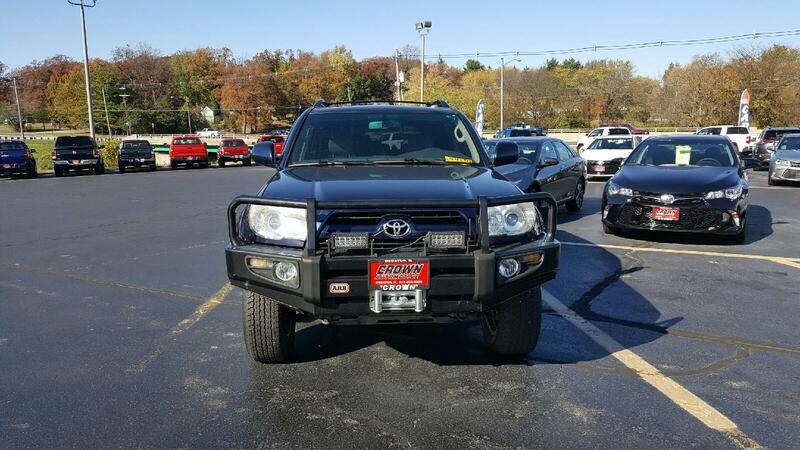 Discussion in '4th Gen 4Runners (2003-2009)' started by wnelax04sr5, Apr 7, 2014. I put on TRD decals on my 2005 4Runner. I know some people do not like these because my 4Runner is obviously not a TRD edition but heck I really like the look of it. donnieg, Batmango66, Palerider and 1 other person like this. It's yours so do with it what you wish. what'd they do, drain and fill + filter? how much was it? I looked at the receipt and crawled under and checked out the transmission oil pan and it was not removed. The service ticket just said flush and fill. From what I have been told the filter is basically a strainer type. So far I am pleased with the service. Started to mock up rear plate bumper. Will have swing outs from both corners, one side will hold spare tire, other side for Jerry Cans. mcharfauros, funner, UssMoGn and 2 others like this. Have some minor tweaks to make to pull corner in tighter and match rear hatch shape better. I installed a Pioneer AVH-X5800bhs and Sirius. Metra car kit fits to snug around the face of the radio. The radio has a motorized screen which I can not utilize because of how tight it is. I changed the factory background of my Pioneer AVH-5800bhs. mcharfauros and boostedka like this. Stage three icon lift Shrockworks front bumber 102" whip antenna 33" bfg at's Cobra cb radio CBI rear bumper with tire carrier CBI kick out rock sliders. Having my valves adjusted and ball joints replaced. Keeping her off road ready always. Very nice! Drive it like you stole it! BassAckwards and bahndrvr like this. Did AT drain and fill with Toyota World Standard. Drained and filled Power Steering Fluid. Changed spark plugs. Ordered coolant and heater hoses. Bought Toyota coolant. All this at about 93K miles. Had some parts come in for some needed maint as well Valve cover gasket, new plugs, front axle seals, diff and transfer case crush gaskets, antenna stuff for the radio as the scion is only using one. This is what I'll be working on.....My 15 year old daughter learning to drive. Finally got all my goodies installed. funner, ARBubba, RonT4R and 1 other person like this. BassAckwards and Batmango66 like this. None yet. Just purchased it. This has been an on going process with all this but have not been on here for a while and thought I would post up some progress of the Rig. I put in a dual battery tray that I sourced (if you would like the parts let me now) and modified to give it a factory appearance. Built a fiberglass switch holder in the sunglass compartment in the overhead and built a drawer system for the back. jwebb8, 4runneroffroad, funner and 2 others like this. I would love some more details on this! Looks great so far! I changed the auto transmission fluid and filter on my '05 V8 Runner. Cleaned the pan and magnets. New gasket. All torqued and re-filled. Drained out 4 3/4 quarts and re-filled with 5 quarts of OEM WS fluid. Getting the fluid up to the correct temps and pulling the check plug to make sure that the level is above the standpipe is tough to do without burning your skin on the exhaust. I don't know what Toyota has against dipsticks-enough of us drive their vehicles. Washed her up from the trip to Shawnee Nat. forest, and points beyond... 3000+ miles around IL. KY. MO. and of course IN. all in a bit over a week. ! treekanay and RonT4R like this. Picked up five of these from a friend this weekend, I will be installing them soon. arnette64, H.O.G Rider and Batmango66 like this. I finally got a working replacement master power switch for mine this weekend! Now I need a passenger window motor regulator. Entire Site Forum: 4th Gen 4Runners (2003-2009) Thread: What did you do to your 4th gen today?